We are thrilled to announce the release of the third instalment in our highly acclaimed Seasons EP series. 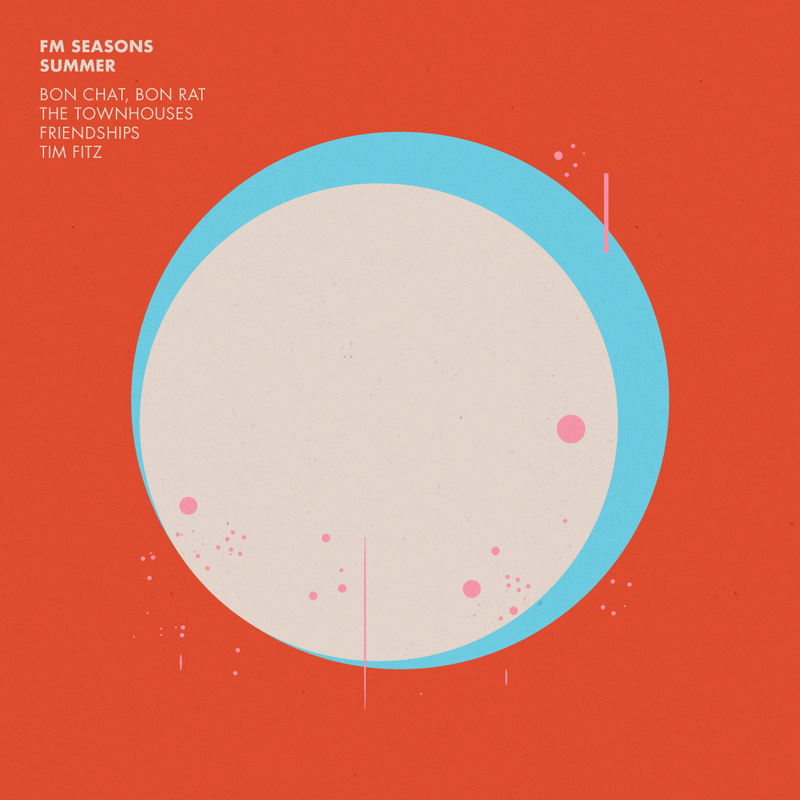 The Summer EP certainly maintains the level of quality we’ve come to expect from the series with impressive contributions from Bon Chat, Bon Rat, The Townhouses, Friendships and Tim Fitz. The EP opens with Bon Chat, Bon Rat who contribute a cover (a first for the series) of the early INXS classic Don’t Change. The duo took inspiration from the opening synth line of the original – which they felt was particularly evocative of the Australian summer – giving the original a new lease of life with their infectious brand of electronica. Perfect for those long hot nights. The Townhouses‘ Leigh Hannah continues to mine the slacker pop sounds heard on his most recent single Nag Champa, however the down tempo nature of Magpie, along with the simple drum machine rhythms and soft synth backing recall the minimal ambience of his debut album Diaspora. The summer themes are prevalent throughout with the more obvious references to Magpies fainting and the relentlessness of daylight savings, to more introspective notions of failed resolutions and the flawed idealism based on the hopeful nature of the season. Listen/download the EP at the Feral bandcamp store here, and listen to the opening track from Bon Chat, Bon Rat via the player below. Stay tuned for the Autumn EP, the fourth and final instalment of the Seasons series due out in April, featuring contributions from Angel Eyes, Golden Blonde, Lower Spectrum and Comatone. This entry was posted in Releases and tagged bon chat bon rat, friendships, seasons, summer, the townhouses, tim fitz on February 18, 2014 by feralmedia2.